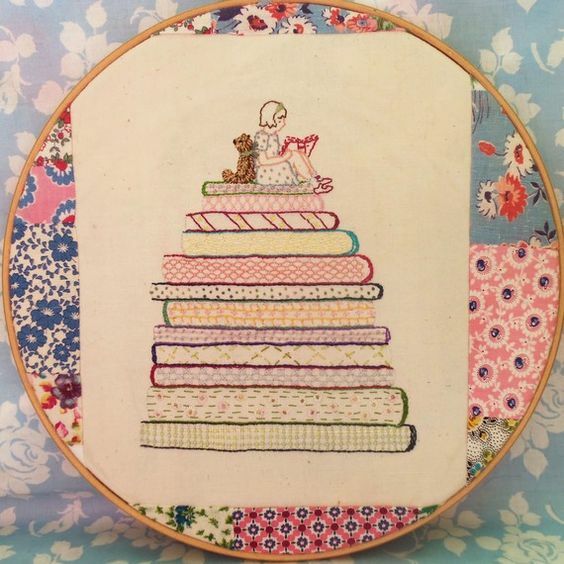 I remember the first time I was blown away by embroidery. I was in the library looking for fairytale stories when I came across a book called The Starlight Princess & Other Princess Stories. 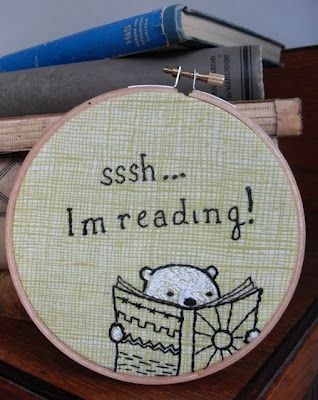 I flipped through the pages and saw that every illustration had been crafted from embroidery. It was mesmerizing, enchanting even. I later purchased the book and have it in my collection to show to friends who are interested in the fibre arts as well as fairytales. 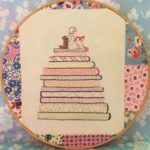 It got me started on my embroidery journey, and though I am not an expert, it is a wonderful skill that allows me to explore my creative side and pair it with my love of stories. 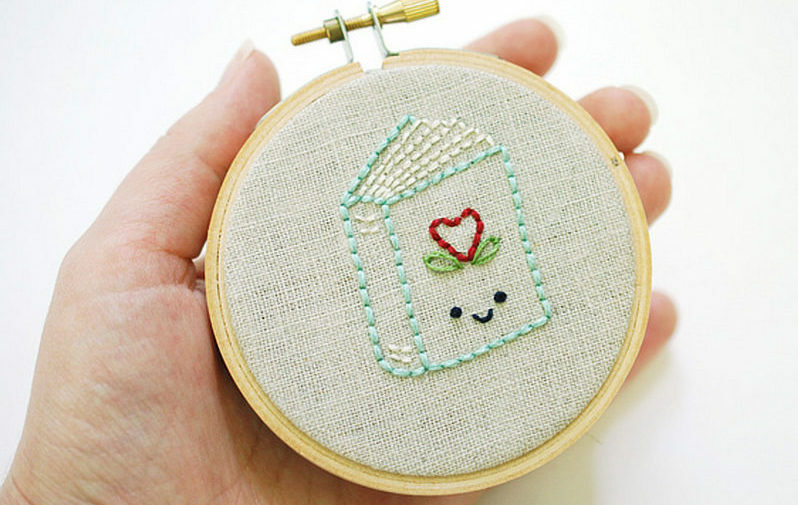 A few weeks ago I discovered that Wild Olive had an embroidery pattern that would fit my skills as a beginner and allow me to showcase my love of stories — a little book! 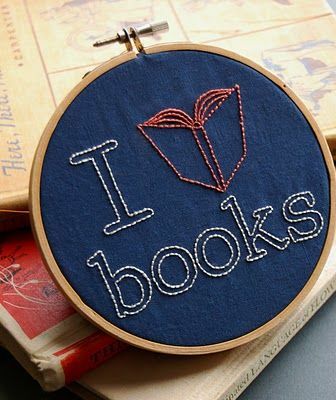 With just a few simple stitches, a tiny hoop, and minimal supplies, you can create the perfect present for the librophile in your life — your favorite librarian, teacher, sibling, grandparent, or child. You can also customize this little pattern using various colors and adding special little flourishes such as a ribbon bookmark. To make the little book, you’ll need a small hoop, the free PDF pattern (you can download it from the Wild Olive site — she also has several other book patterns as well as a way to incorporate these into larger crafts), some embroidery fabric (I tend to use linen), a pair of fabric scissors, five colors of embroidery thread (one for the book, one for the pages, one for the eyes and mouth, and two for the designs. The original uses blue, white, green, red, and black, but you can go for varying shades, pastels, earth tones, etc. ), an embroidery needle, and a pencil. The pattern utilizes a simple stitch and some knots, so if you aren’t familiar with embroidery knots you may want to look up a stitch guide just to make sure you are making them correctly. Once you have your materials, you’ll need to trace the pattern onto the fabric. I usually put the pattern and fabric against a window and trace that way, but if you have a drafting table with a light that’s the best option. You can also tape the fabric and paper against the window to keep both your hands free. When the pattern is transferred, you can pick which colors you are using and start embroidering. You’ll want to start with the outline of the book, then the pages, then the decoration and finally, the face. 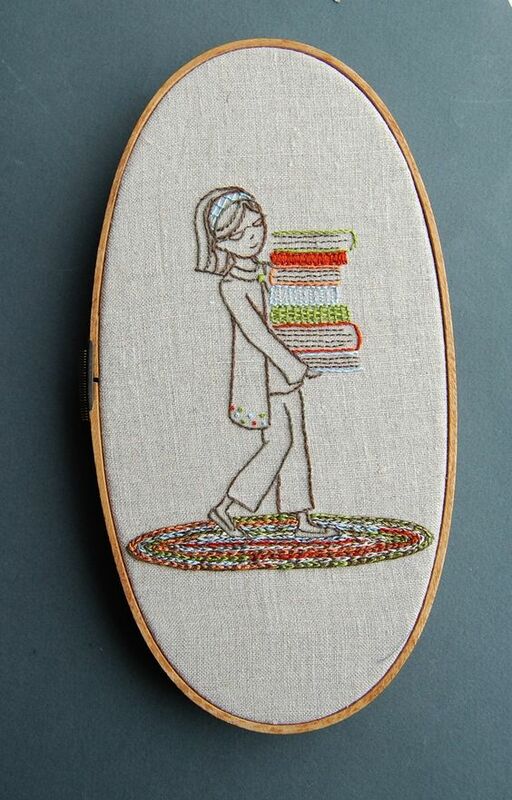 If you want to add anything such as a bookmark, plan out where to put that in as well — probably before the front of the book is embroidered as you will want to arrange the bookmark.